The construction industry and trades such as plumbing together cover a wide range of activities. Coregas is proud to offer gases for all of them. Whether you are building or maintaining a home, a civil engineering infrastructure project or a mine, Coregas has decades of experience in the development, manufacture and application of welding and cutting gases. The Coregas range supports applications from traditional welding through to the most modern welding and cutting techniques and is updated regularly to complement new innovations in welding and cutting. Our range includes all the common shielding gases and gas mixtures, plus more specialised mixtures too. 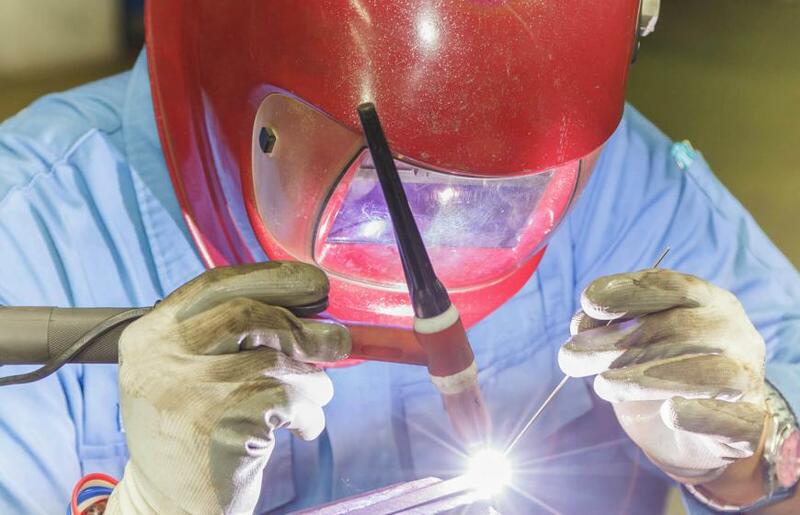 There are gases and gas mixtures suited to MIG, TIG and oxy-acetylene welding and cutting. Two of the most common are Helium 4.6 and Argon 4.7, which are both ideal for shielding processes because they are inert, so do not react with the weld. For the same reason, they are also the most common components of our welding gas mixtures. Other gases used because they are semi-inert include Carbon Dioxide 2.5, Oxygen 2.5 and Hydrogen 4.0. Oxygen 2.5 and Acetylene used together form the hottest flame, making them ideal for oxy-acetylene welding and cutting. Shieldpro gas mixtures use additions of helium, hydrogen or nitrogen to a base gas or gas mixture to improve welding speed, penetration, profile, surface appearance, metallurgical benefits etc. This in turn leads to improvements in the two major areas of concern in a welding process: quality and economics. Coregas gas mixtures comprise varying combinations of argon, carbon dioxide and oxygen, resulting in an extensive range that gives a clean, quality and economical weld. For people that only use gas occasionally, Coregas offers a range of D and E size gases with no rent to pay and no need to buy the cylinder. Just pay for the gas, leave a deposit on the cylinder and you are on your way. Bring the empty bottle back, get your deposit back, simple as that. Plus with swap locations available up to 7 days a week you can return your cylinder wherever and whenever you like – no need to go back to the same store where you got it. The Trade N Go Gas™ range is available at Bunnings and selected distributors. Find your local stockist or find out more about Trade N Go Gas™.